In 1969, on my way to the first day of my first ‘real office’ job, I stopped at a corner store and bought a pack of cigarettes. I didn’t smoke and had never smoked. Oh, in high school, I tried to smoke, standing out on the street in front of Western Tech with the other outcasts, but I never could really do it. So I gave up, until that day in September of 1969 when I bought a pack of Cameo. I thought maybe the menthol taste would make inhaling that disgusting smoke more palatable. Well, although I tried, I didn’t make it through one week as a smoker before giving up. So why was I even trying? Because in those days, you could smoke anywhere and everywhere and every desk had an ashtray on it. Offices were just clouds of choking smoke. Everyone had a cigarette burning in their mouth or in the ashtray all day long, and I wanted to fit in. Times have changed and now we don’t have to live in a perpetual cloud of tobacco smoke. We don’t have to pretend that we have that bad habit just to fit in. Now I also don’t care so much about fitting in. Now, we don’t live in a cloud of smoke but we certainly live in a cloud of negativity. Sometimes, in spite of knowing better, we join in with the nay-sayers, bitchers and complainers to ‘fit in’. And, just like when I lit and let burn out every cigarette in my first and only pack of Cameos, we contribute to the cloud of negativity that pollutes our world today. Let’s call a moratorium on negativity for one whole week. It’s not a new idea. Emmet Fox wrote The Seven Day Mental Diet in 1935 which called on people to change their life and their world in just one week by refusing to let negative thoughts take hold in their minds for a full seven days. date, but it turned into a completely new book. a few people who were successful. mental shift can bring. After speaking to these successful mental dieters, I decided to completely rewrite the book and include their lessons learned. 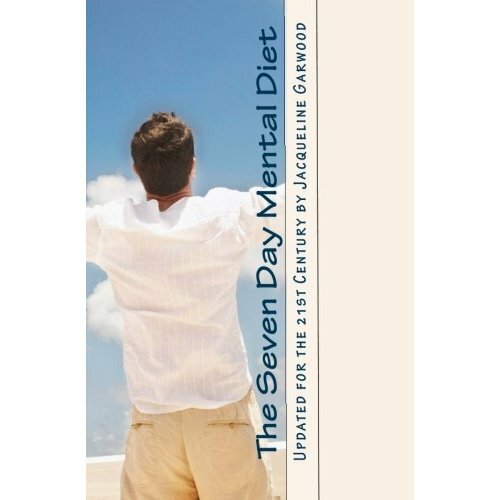 My new version of the Seven Day Mental Diet has Seven Guiding Principles to help us instill the new way of thinking into every day life. So now my Seven Day Mental Diet is published and available on Amazon.com but I know from my experience and the experience of others, that just like when you try to kick any bad habit, including smoking, support is crucial. I am inviting anyone and everyone to take the Seven Day Mental Diet with me next week. Starting on Monday, July 25, at 7 a.m. Eastern Daylight Time, I’m going to be hosting a short – very very short – teleconference every morning for a full seven days. In each teleconference I’m going to introduce one of the seven guiding principles and motivational tips to help you stay on track to completely rid your life of negativity. I’ll send you the telephone number and passcode. Then you can join me at 7 a.m. ET starting Monday, July 25, 2011. I’ll also record the teleconference so if 7 a.m. is too early for you or if you’re in another time zone, you can still listen in. This is a spur of the moment great idea so it’s the beta version. Help me test it out. I’ll also send you an e-version of the guided journal to record your journey to a new attitude and a new life. This entry was posted in favorite books, future pull, Great Ideas, Seven Day Mental Diet and tagged Future Pull, great ideas, mastermind group, seven day mental diet, ultimate blog challenge. Bookmark the permalink. I’m definitely doing this BUT 4 a.m. Pacific time is a bit early! No problem! I’ll also record it and you can wake up to an email with the recording link! This is your best of the best ideas!The calls are a perfect fit for the inner work I’m doing. Do you mind if I share this post on my FB business page? I’d love it if you would share it. Send me an email and I’ll mail you the telephone number and passcode and the e-journal.